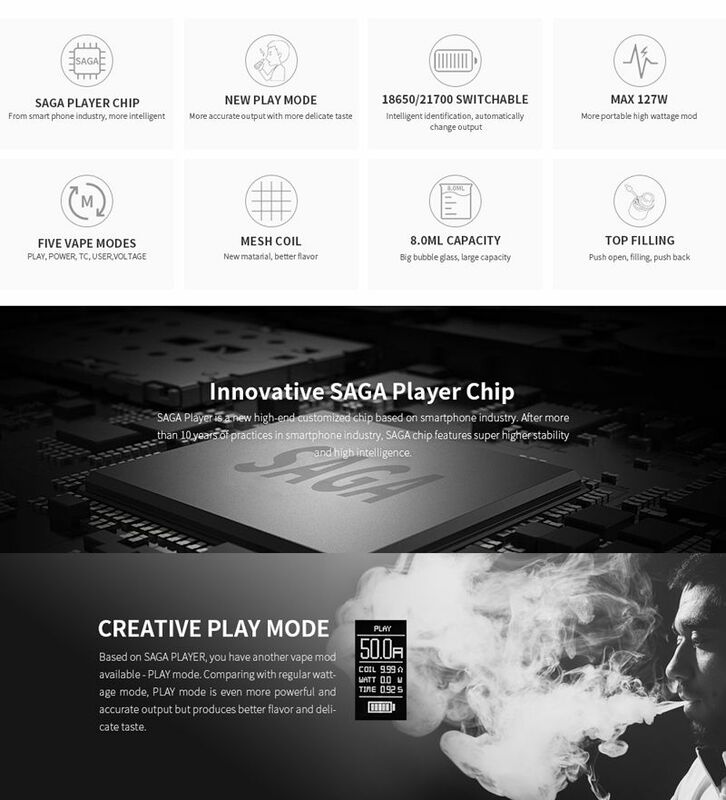 Instead of buying or modifying the chip from other brands, we need a more intelligent chip to achieve the result we expected, that’s why we created the new SAGA Player which is origin from smartphone industry and has gone through many trials to ensure the stability. So what you can get from SAGA Player? Firstly, the new PLAY mode. 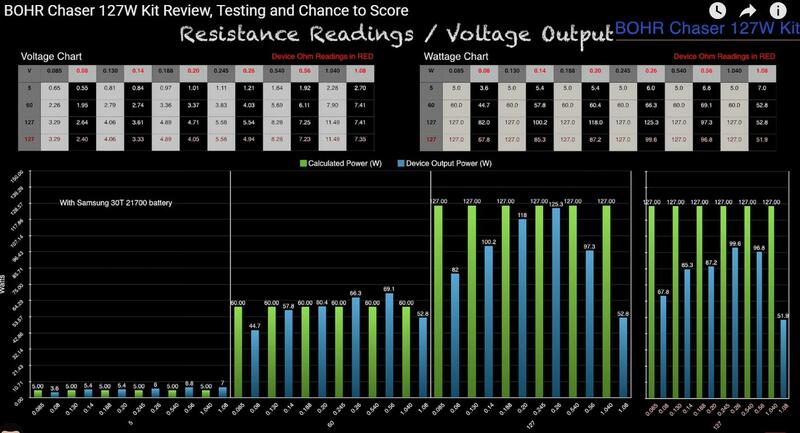 Different from the traditional wattage mode, with the PLAY mode, the output is automatically adjusted according to the resistance and the draw time. While in PLAY mode, the wattage is not settled but waving. The waved wattage gives different output and temperature when you are vaping which helps to release the taste of all the spices, that means you can feel the different layers of flavors from the e-liquid you are using. Actually, the PLAY mode is a current pulse mode which produces waving current pulse when firing. The current pulse changes according to the magnitude of the current and thus make the eliquid tastier. As you know, there is not only one element within most eliquids, and each element requires the different temperature to release the taste. However, the wattage mode produces only the direct output, which can not perfectly release the delicate taste of some elements of the eliquid. While in PLAY mode, the current pulse makes the output wattage change like waves, which hit the coil with up-and-down temperature in a short time and release the flavors of more elements. The PLAY mode is created to enable all vapers to experience the more delicate taste of your eliquid. Second, maximum 127W output. In wattage mode, the power ranges from 5W to 127W, which give you a large space to adjust when using different tanks. That means you can not only use subohm tanks on it but also RDAs which may require higher output, in a more portable way comparing with dual battery mods. Third, five different modes. You can get not only PLAY mode and wattage mode but also temperature control, voltage and custom modes, which all supported by the SAGA Player chip. Forth, intelligently detect batteries. The Chaser kit is compatible with 18650 and 21700 batteries, and the SAGA Player chip can intelligently detect what battery you are using and automatically update the maximum output, no need to choose battery mode after changing. Fifth, safety. The SAGA Player chip provides as many protections as it can, such as battery reverse protection, switch timeout protection, over-temperature protection, output over-current protection, overcharge protection, over discharge protection, short circuit protection and so on. Genijalno, predstavi najvecu slabost kao najvecu prednost.